How important is clean indoor air? In the article, Four Lyme Experts Share About Mold, A Common Lyme Disease Co-Condition – each of the experts say you have to get away from mold exposures. What I don’t see are any details on HOW to get away from mold. I think that is because they don’t know! Getting clean indoor air and sometimes living outside – was a turning point in getting well for my son and I both – and we both had Lyme Disease and other co-infections. We used to have to practice extreme avoidance and I had extreme measures I would take to not cross-contaminate. Now I use Hi Tech Air Solutions air reactors and life is a lot easier because Hi Tech cleans the air in my home and anything that comes into my home – it cleans – so it cleans stuff and I was able to save even porous things. If you have been sick from mold, or you are sick from mold, depending on what stage of learning you are in, you may or may not realize that mold gets on stuff and can keep people sick. This is called cross-contamination. My advice used to be to leave and take nothing if you are sick. Now – my advice is get Hi Tech and repair leaks. You can still leave for a while and take nothing with you as an experiment to see if you feel better in clean air – but don’t be fooled. Some people feel worse when they get out because their body is detoxing! My son got better and I got worse when we left the house! Too many stay too long and get more sick. Best to get out and get your brain working again by stopping the poisoning! In 2011-12 we did a remediation that was a full gut job and throwing out 3/4 of our stuff. We didn’t need to do that. Tens of thousands of dollars in materials, storage fees, dumpster fees from throwing stuff out, replacing all your stuff, buying organic because now you react to everything, organic food, all the supplements and tools it takes to get well. Energetic testing, alternative doctors, acupuncture, and other testing and treatments – some health treatments were covered by insurance, most were out of pocket expenses! Most tests and treatments were out of pocket even though we had insurance – because the doctors who take insurance don’t believe mold can make you sick. Even though we were unable to live in our home that was properly insured – insurance did not cover one dime of repairs needed to make our home livable. We looked for apartments and houses we could stay in, all of them made me sick. On the worst exposures, my tongue would swell, my throat would swell, my eyes would swell shut! I was reacting everywhere I went. It was like I was allergic to the world. For personal protection: Masks, nasal screens, ziploc bags, plastic tubs, packing tape and storage units. Being homeless: Cost of hotel (I’m lucky my parents own a motel), cost of meals, no kitchen in motel room, cost of clothing – much was lost to mold, cost of tents – when the motel is full or if reacting to a room, I would have to move motel rooms often. I would clean the room we were moving to, clean everything we owned, and then move, cleaning the room we were leaving too. Buying new tents, and other needed equipment for living outdoors. Anyone who has lived a life with severe “allergic” reactions knows the care we have to go to so we do not react. I put “allergic” in quotes because I think these allergies are a “my cup is full” reaction the body has when the blood/body burden of toxins is extreme. My daughter and I were allergic to everything – she was on 5 asthma medications – EpiPen, and when we left our house, took nothing with us – she was off all medication in 2 months. No asthma. We did natural treatments. If you have become sensitive from a toxic exposure like I was, the smallest amount of toxins in a home can be deadly. My tongue would swell, my throat would swell, sometimes my eyes would swell shut! I would be throwing up and diarrhea all at once – and hives all over my body. Not every reaction had all those symptoms but I had all those symptoms at one time or another. We didn’t need to spend over $40,000 on Remediation – when we know better, we do better and now I would do a combo of some remediation – finding the source – and add in Hi Tech Air Reactors. 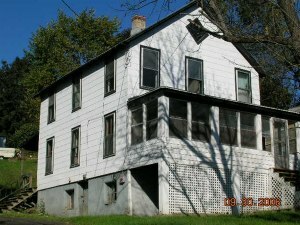 We moved back into the home in February of 2012. I was strict about what could come into the house. I had to be careful because if someone left something moldy in the house, the entire house would start making me sick. Sometimes removing the item would fix it, sometimes it was evacuate, ozone, HEPA, ammonia clean. It was September of 2012 – 18 months after we left the toxic mold house before I was feeling 90% well. Some days I was 100%. Some days I was sick from toxic exposure but I didn’t get as sick or stay sick as long. In September 2014, I started getting sick, again. Really sick, and I suspected the house or something in it. I had been away for 3 months and I felt great that whole time. I came home and I was deathly ill and gaining weight. When I say gaining weight – I mean rapid weight gain. That is one of my body’s ways of telling me I am being exposed to some kind of toxin. I blow up like a balloon! I don’t feel good either – and I can hardly eat – but I still gain weight. It’s definitely something that needs fixing in me and still happens with toxic exposures. I can gain 10 pounds by walking in a moldy building. No amount of cleaning was making the house okay for me. I was throwing up, I had brain fog and if I took a binder, I felt a little better. My C4A was high – a tell tale sign of mold exposure. There were other markers we checked – for details – check out the Diagnosis and Lab Tests page on Surviving Mold. I tried lots of things to try to clean the house – I was throwing stuff out, bagging stuff, and cleaning by washing walls, floors, ceilings and cleaning every corner… and I was still not feeling well. I hired someone to do a deep cleaning because I was just so sick. That did not help. I tested with the HERTSMI dust test for mold – anything over 12 is no good. The HERTSMI was 20 – the house was making me sick. We had no water leaks & we had done a $40,000+ remediation two years ago that basically ripped the house down to studs, cleaned and sterilized. We put the house together with low VOC materials. We encapsulated the basement. How could my house be making me sick again. But it was. And the HERTSMI was enough to tell me I needed to do something quick. I tried diffusing propolis and essential oils, I fogged a couple different things, I was using every HEPA filter I could find, a box fan with a HVAC filter taped to it and I was even wearing first defense nose filters and an icanbreathe mask. I found the Hi Tech video testimonials on YouTube and they were under the owner’s name, Ray Robison. So ,I looked Ray up on Google and found the company, Hi Tech Air Solutions. I called Ray up and asked him if he thought Hi Tech could help me. “Absolutely,” he said, with confidence! November 19th, 2014 – I got my first Hi Tech 101 running in my home. We turned it on and I felt better within an hour. I remember because it got delivered by UPS late! It was dark and I was teaching a webinar online that started at 7pm. I had a short time to get it started and go teach my class. The class was only an hour long. I put the Hi Tech in the office with me and shut the door – I felt better during that class! When we got Hi Tech we had no water intrusion, no leaks, we were sick from cross-contamination… or something we never saw. It’s not always, either or –Remediation or Hi Tech – sometimes you have to do a little of both repair and replace and get Hi Tech air reactors. I would never again attempt remediation without Hi Tech. For someone who is sensitive, like me… Hi Tech is a great tool. I know my air is clean because I run Hi Tech in my home. 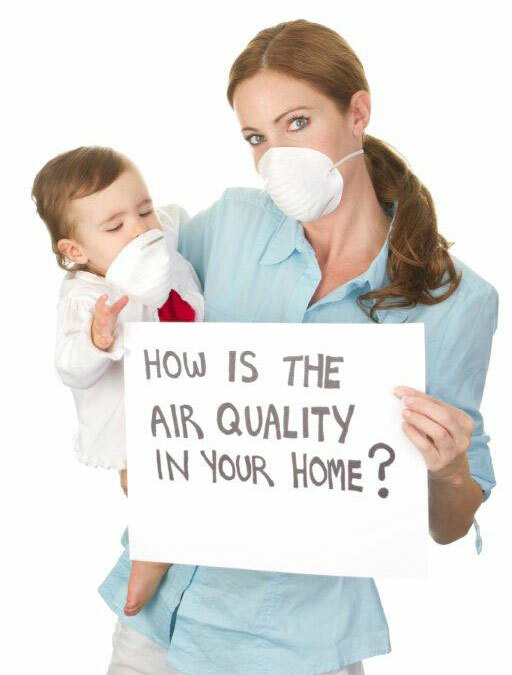 I think every home should be proactively cleaning their air all the time. If anyone is sick they should test, test and retest until they find the environmental toxin that is making them sick. Why wait until you GET sick? We breathe 7-8 liters of air per minute – which comes to about 11,000 liters of air per day. Wouldn’t you like the air you breathe to be CLEAN? This entry was posted in Health and tagged clean air, Hi Tech, mold experts on October 20, 2017 by Heather Plude.